A good friend gave me a Dior lipstick. She didn't go out and buy it just to give it to me (lipstick is hardly ever the kind of thing one gives as a gift, is it?). My friend bought this for herself. But after bringing it home and using it once, she realized the shade would never be her favorite, so she asked me if I wanted it. Out of sheer curiosity (and because it was Dior and looked like a shade I would use), I accepted. The lipstick sparked off a train of thought. It has been years since I have used a commercially made lipstick – so many, in fact, that I honestly couldn't remember when it last was, nor which brand I used. 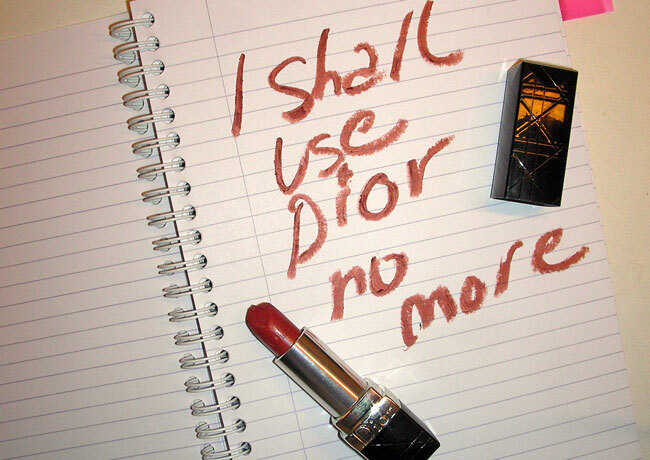 Now suddenly, out of the blue, there was genuine Dior lipstick standing on my make-up shelf, looking all pricey and fancy, and just waiting to be experienced. After deliberating for a few days, I picked it up, uncapped it, and gave the container a twist. Wow. There is a super classy looking imprinted logo right in the actual lipstick! Thumbs up for packaging and design. I applied a layer. First impression: quite positive. It went on smooth and felt pleasant. I checked the mirror. The color was good. But then the second impression hit. Vanilla cookies with ... a plastic undertone. Are they serious? I couldn't get it off fast enough. It would appear lipstick is the one cosmetic I don't automatically sniff before applying. I don't know if Dior uses the same perfume in all of their lipsticks, but this was absolutely not my cup of tea. And then I remembered why I stopped using commercial make-up and started making my own way back when. Synthetic perfume has always bothered me. I made a mental note, then wrote it down in my notebook – just so I don't forget. 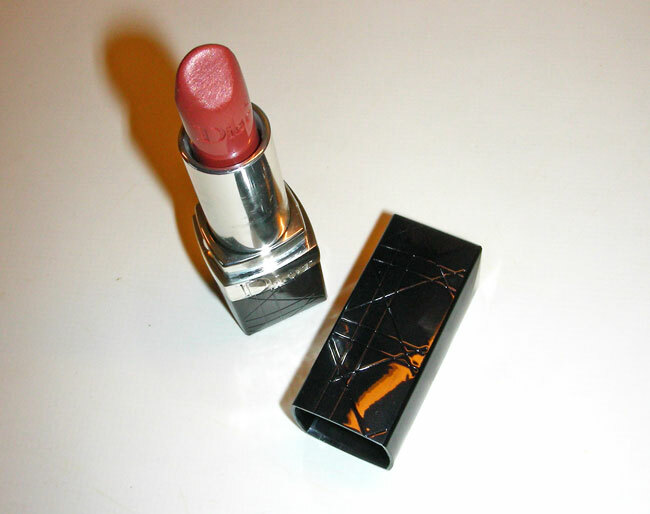 Do you use commercial lipstick? Do you mind if it has a scent? Tak for dit altid interessant input! Jeg troede i årevis at jeg var bare 'sippet' når parfumerne generet mig så meget som de gjorde. Hvilken mega stor forandring da jeg besluttede at holde mig langt fra dem. No itching, no headaches, no gener - at all. I do still use commercial lipstick but haven't purchased any in long time. Mostly using lip-stains with lip gloss over them lately. I never chose lipsticks based on how they smelled, but I do remember buying but not using a particular one due to it's off-putting scent. I might be tempted to put up with a weird scent if it otherwise scored in every other area... color, texture, longevity, etc. but really, like you, I'd rather not have synthetically scented lipstick at all. There are some brands that bothered me but it wasn't so much the smell as it was how they felt. After repeated use, my lips felt so dry. I finally came up with something that works for me and has some staying power through some binging on Chai tea - AND my lips don't feel so dry. HI Anon - thanks for sharing - sounds like you've created the perfect product for you - Wonderful!